As a business owner, you are responsible for choosing a health insurance plan that is right for your employees. There are two main plans to choose from: HMO and PPO. Now your question may be, “Well, what is HMO and PPO?” HMO, or Health Maintenance Organization, allows you to choose within its own network of doctors and hospitals. A PPO, on the other hand, gives you more flexibility in choosing your health care professionals. Each has its own advantages and disadvantages when it comes to helping you enjoy life. If you would like more information on the differences between the two, examine the comparisons below. Here is a list of the differences between HMO and PPO plans. One of the most convenient benefits of PPO vs HMO is the ability to see specialists without having to get a referral from your primary care physician, or PCP. HMO plans require specialist referrals from your PCP, which means more time spent out of work or school and at the doctor’s office. If you visit a lot of specialists, PPO plans are much more convenient. An HMO plan requires that you choose a primary care physician. Your PCP is responsible for referring you to different doctors and specialists within the HMO network. Typically, you are not allowed to have certain procedures done without first seeing your PCP. PPO’s, on the other hand, do not require primary care physicians. You may choose any health care professional masterminds that are preferable to you. This usually results in higher premiums. However, you can forgo that initial doctor’s visit and choose your own doctor. PCP requirements are one of the main differences between HMO and PPO plans. If you belong to an HMO, you are required to choose within their own network of doctors and hospitals. If you choose to see a doctor outside of that network, you are responsible for 100% of the costs. PPO’s offer a lot more flexibility in this regard. There are many situations where they will cover parts of your out-of-network visit. Just note that your premiums will be a lot higher. There will also be a separate deductible. This is a key difference between HMO and PPO plans. Both HMO’s and PPO’s operate through deductibles and co-payments. However, HMO’s tend to have lower costs overall. Their monthly premiums are typically lower. You can expect to pay less for out-of-pocket medical expenses as well. PPO’s charge a higher monthly premium in exchange for the flexibility they offer in choosing health care providers. They also have higher out-of-pocket costs. Lower costs are a big part of what is different between HMO and PPO. With HMO’s, you will never have to file a claim because you are only allowed to see doctors within their network. Doctors get paid directly by the HMO while you pay through your insurance policy. If you are with a PPO, there may be instances where you have to file a claim. Usually, this happens when you see a doctor outside of your network. PPO’s give some coverage to out-of-network visits. In order to get reimbursed, you need to file a claim. This is an important difference between HMO’s and PPO’s. 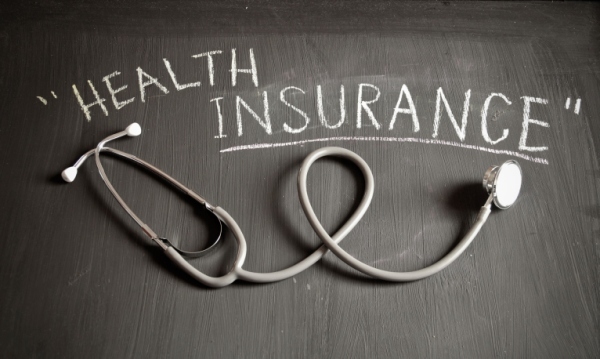 What is HMO and PPO in regards to picking a health insurance plan? After reading this post, you now have an answer to your question. There are several key differences between HMO and PPO plans. HMO’s require you to stay within their network of health care providers. In order to see them, you have to referred by a primary care physician. PPO’s offer more flexibility in choosing your doctors. They allow you to choose whoever you prefer in exchange for higher deductibles and monthly costs. Each plan has its benefits. Evaluate the differences in this post and decide which plan is better for your business.